The rampant closure of cinemas in most cities in Africa today may be harmful to the growth of celluloid cinema and the future of the film festival (FESPACO) in Burkina Faso. On the other hand this may open a window of opportunity to the new wave of television films (telefilms) now becoming a permanent feature in our cultural landscape. Africa Magic and Africa Magic Plus, the twin audio-visual channels hosted by M-Net in South Africa are fast becoming the artistic vista for African film producers interested in bringing screen art and culture to the privacy of our sitting rooms and bedrooms. The three main links that constitute the Cultural Industry chain are Production, Promotion and Consumption. These links represent the culture triangle needed to energise an industry whose aesthetic nature and artistic values mirror the essence of human civilization. Attempts by both civil society actors and governments have aimed at transforming Africa’s indigenous culture from mere populist folklore to a national character. The world of showbiz in a multi facial composition of Fashion designing acting and modeling cultures beckon Cameroon’s vibrant unemployed youth market. 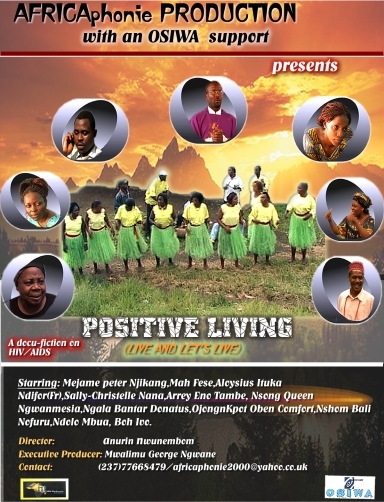 Africa with a diversity of cultures stands a better chance of harboring varieties of modest film and theater resorts. Created in 1998, Africaphonie is a Pan-African association with the vision of democracy and economic development, to Show case the world of films in Cameroon they introduced their “Tele films.” The chairman of the board of trustee Dr Jacqueline Okay and her 26 member association believes that Africa can only be what Africans want it to be. Africaphonie organizes conferences and workshops in a sporadic and project based approach for stakeholders. Is the United States of Africa Necessary? The Assembly of Heads of State and Government of the African Union, at its 8th Ordinary Session in Addis Ababa from 29-30 January 2007 decided that the next ordinary session of the Assembly to be held in Accra, Ghana in July 2007, will be devoted to a “Grand Debate on the Union Government”. This decision is inspired by the fact that Africa now needs a Union of the African people and not merely a Union of states and governments and that ‘the ultimate goal of the African Union is the political and economic integration of the continent leading to the creation of the United States of Africa’. 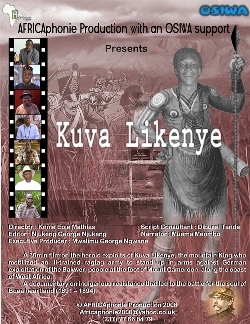 Mwalimu George Ngwane explains why he decided to produce a film on female genital mutilation. 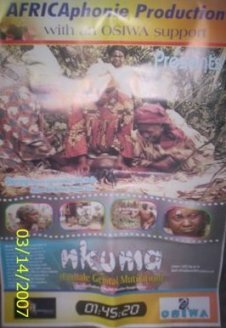 Cameroon Tribune: What prompted you to produce this telefilm on Female Genital Mutilation called "Nkuma"? GeorgeNgwane: Female Genital Mutilation (FGM) is an age-old practice that is perpetuated in many parts fo the world. In Africa alone, there are 27 countries that have been battling with the controversial practice that not only draws a dichotomy between traditionalists and modernists but has placed Cameroon in the storm of practices that impair women's wellbeing. As a matter of fact, a UN report estimates that about 20% of women in Cameroon go through a form of Female Genital Mutilation called infibulations. Certain areas of the South West and North provinces have been cited as championing this practice. There have been many interventions purporting to sensitise communities on the necessity to put an end to the practice of female circumcision, pompously referred to as 'Female Genital Mutilation' (FGM) by development practitioners. Despite these numerous interventions, the practice still continues in many parts ofCameroon, essentially because the practice is portrayed as an entrenched negative cultural tendency (which it is), and the methods utilised to combat it are necessarily confrontational.